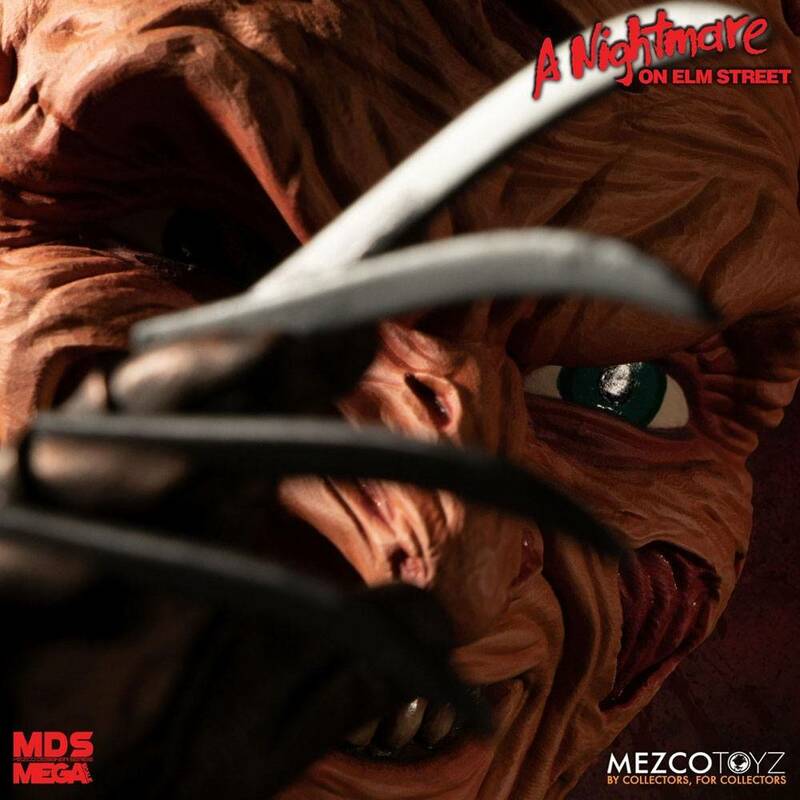 Freddy Krueger, the dream-haunting slasher from the original 'A Nightmare on Elm Street' films, is coming for you! 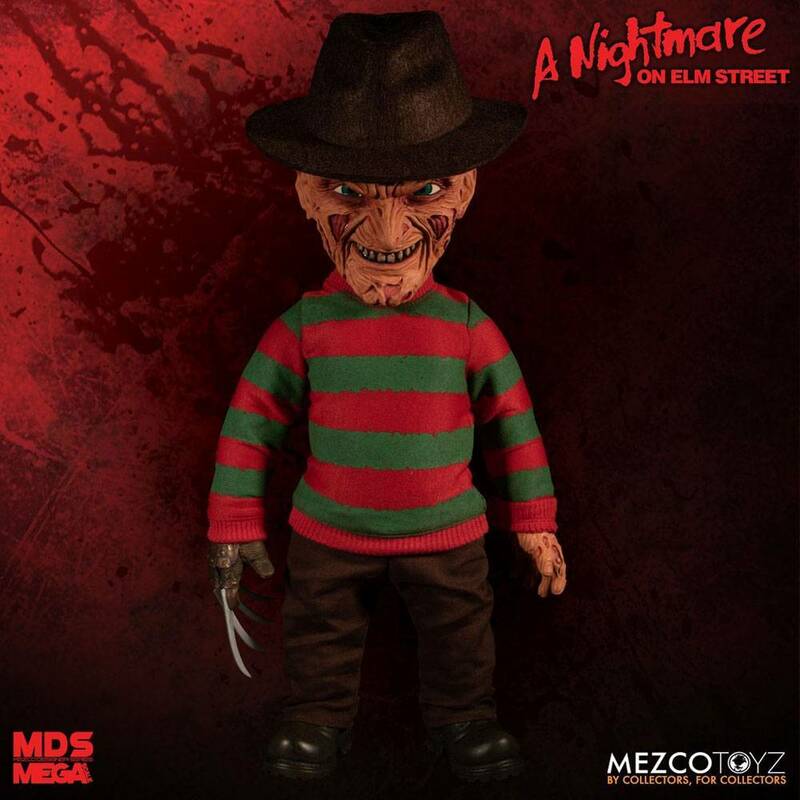 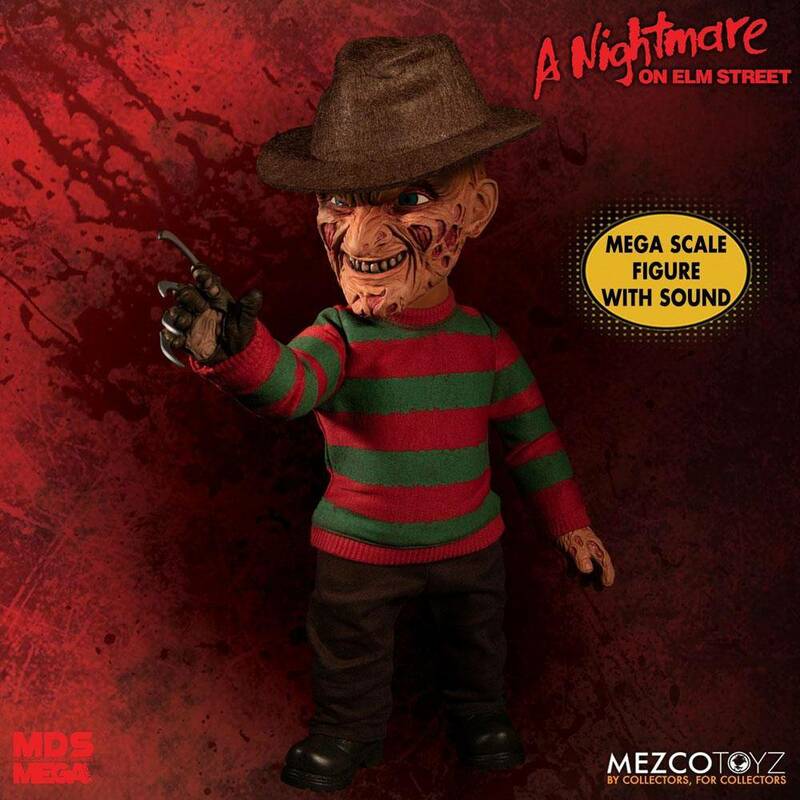 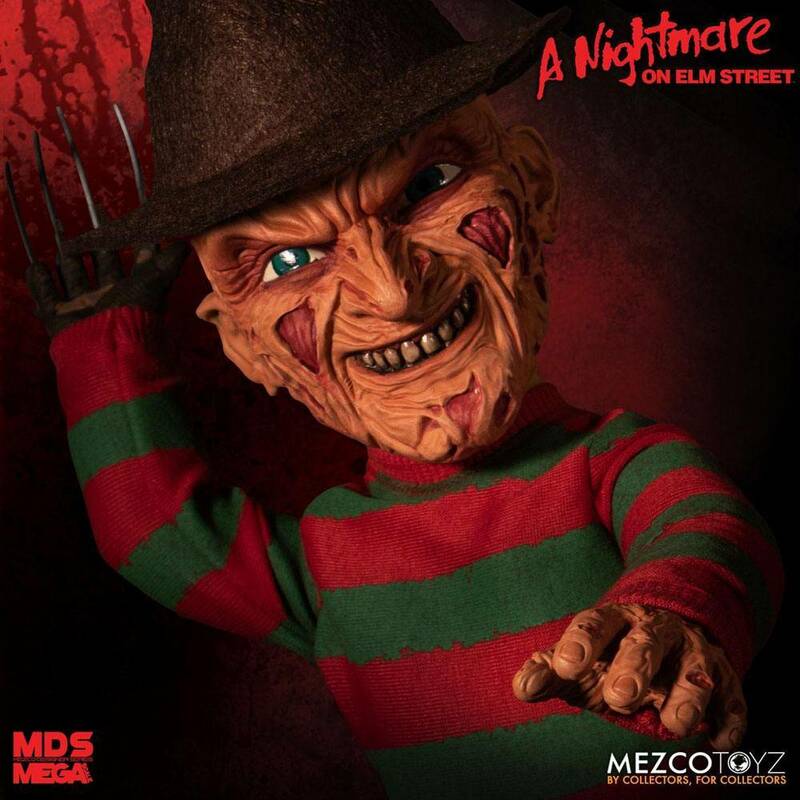 The MDS Mega Scale Talking Freddy Krueger stands at a frightening 15" tall and says 5 nightmare-inducing phrases from the original films including "You think you was going to get away from me?!" 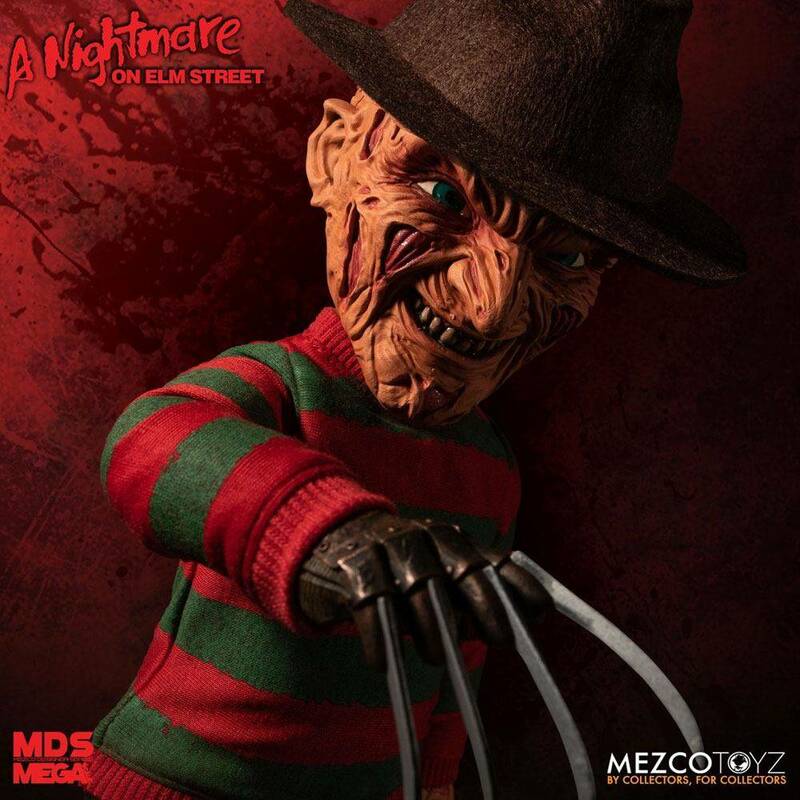 The dream demon is dressed in his infamous striped sweater and fedora. 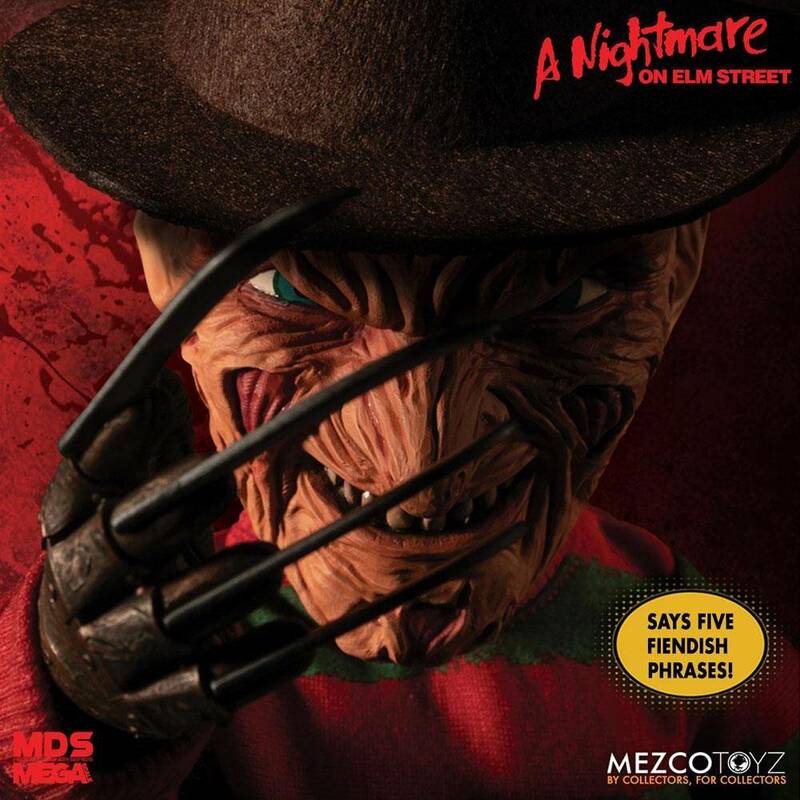 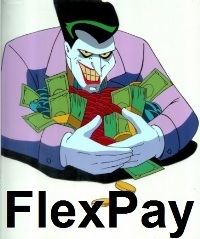 He features a newly sculpted head portrait, razor glove, and 11 points of articulation. 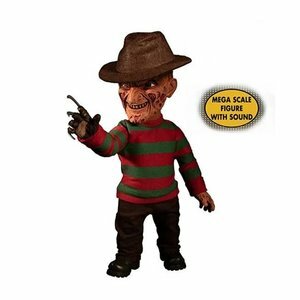 The MDS Mega Scale Talking Freddy Krueger comes packaged in a collector-friendly window box, perfect for display.